The reason for this was that the bulk of the processing power was in the rendering than anything else. So whilst the games had beautifully textured polygons, they couldn’t do much with them. This is why a lot of the earlier Model 2 games felt quite on-rails. So the simplicity behind Sega Rally’s beautiful handling and Virtua Cop’s point and shoot approach where dictated by the hardware, not design. The biggest problem the team faced was that Model 2 hardware had real problems with updating the position of complex animated objects. In Virtua Fighter the movement was relatively slow and the arena quite small, so this limitation wasn’t really an issue. 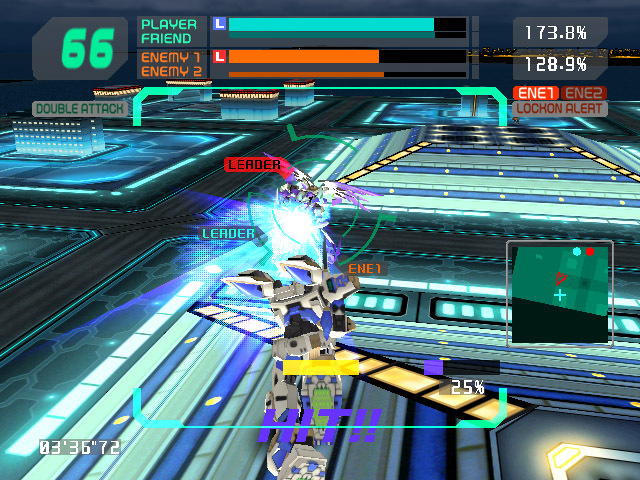 In Virtual On, with complicated robots dashing at high speeds things got very difficult. 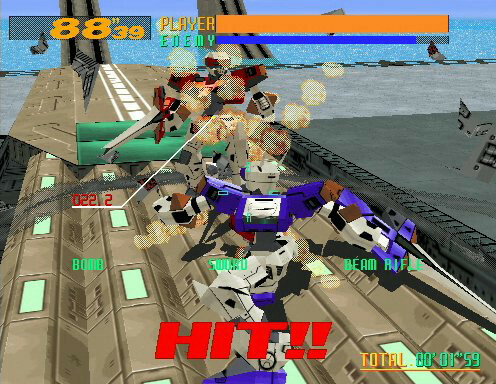 The initial hit was the robots themselves, it was clear even in early stages that they needed very low-polygon models for the titular Virtuaroids or VRs. 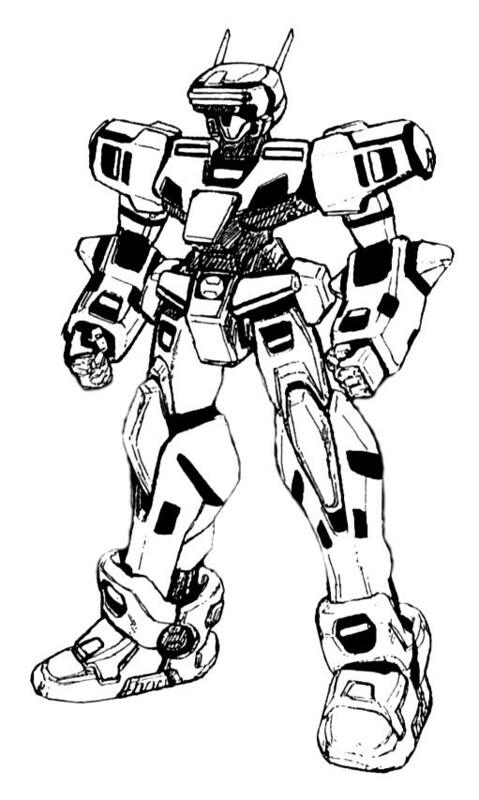 The problem with mecha design at that time is that it didn’t really do simple. They were complex multi-jointed machines with a huge amount of geometrical detail. So Katoki Hajime, renowned for his gritty real robot designs, was called into help. His simple and highly stylised designs helped get the game running, as well as give the title an iconic aesthetic. There is one other technical aspect I haven’t covered though; the twinsticks. Why use a tank control setup for high speed vectored dash based combat? You’ll only think that if you look upon Virtual On’s mechanics in a visual sense. Due to limitations of the hardware, the game needed a very precise form of control input for the movement commands. If you’re going to be penalised with immobility at the end of a dash you want to make sure that you wanted to dash in that direction in the first place. The twinsticks were the solution to this potential disastrous lack of precision. 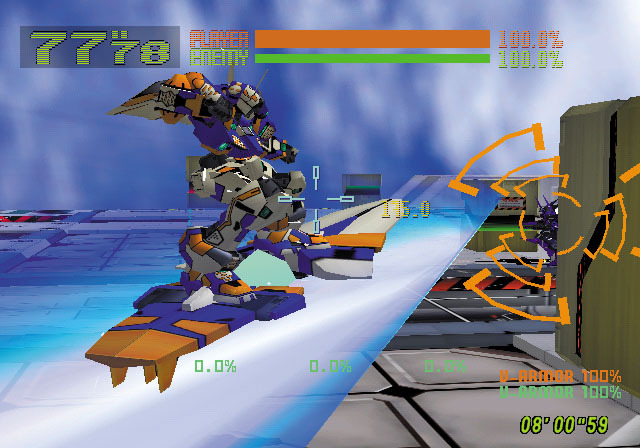 Some may think that Virtual On’s twinstick setup came from Cyber Sled and to an extent this is half true, as the controls were a partial inspiration. The big difference is that Cyber Sled was trying to emulate futuristic tank combat (so no fixed dashes basically) rather than anything mecha related. 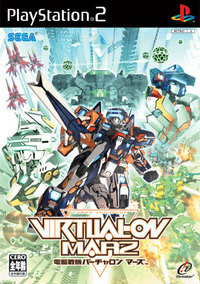 The name Oratorio Tangram, or just Oratan to the fans, was birthed as means to describe what the game was. Oratorio being a holy opera and a tangram being a Chinese puzzle based around arranging shapes, the name essentially signified that the game was meant to be a “grand remix” of sorts. It’s an apt name as the changes to the game were legion. The other interesting change from the original was how a lot of the move set had become automated. 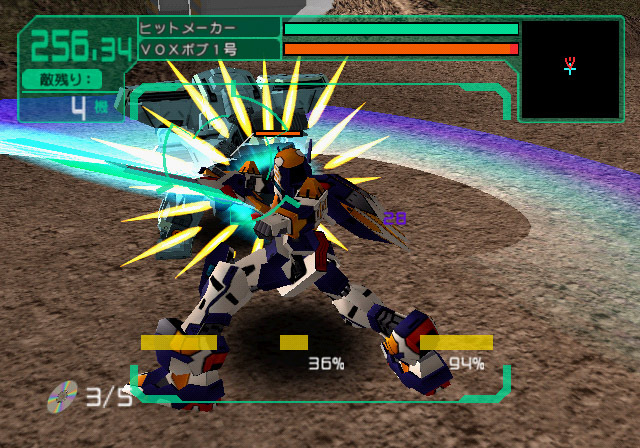 Close combat in the original game was far more manual in terms of input: circle strafing in close combat was something the player could control with greater precision as to how far they moved. Oratan changed this by replacing the control with a fixed length “quick step”. It made close combat more approachable but at the expense of plateauing the skill of the player. 5.45 was the Dreamcast port and turned out to be a monumental challenge for the Oratan team. 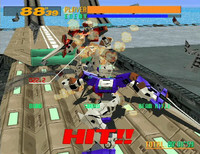 A lot of hardware reliances simply didn’t exist on the Dreamcast and the code base required extensive re-working, doubly so as the game had to run at 60 fps and still retain the visual accuracy from the arcade version. 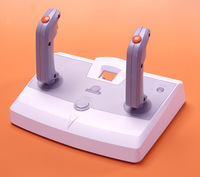 The port also had a bespoke twinstick peripheral much like its Saturn cousin, which with Oratan’s increased input speed was absolutely essential. This isn’t to say you can’t play the game on the pad but with the sticks you can control far more precisely, allowing you to do things like this. This is why the newly announced console port of 5.66 is terrifying as there’s no news of any kind of twinstick peripheral. A pad couldn’t keep up on the Dreamcast version, which was a custom made port. This is specifically an arcade perfect port but without anything approaching arcade perfect controls. It’s awful to think that the finest iteration of Oratan is being released to the public but with only half the functionality available to the gaming populace. The big problem with Force was in three major areas; the four player didn’t work with Virtual On’s single lock dash based combat, the game avoided any and all dash freeze to hide the limitations of the lock-on system (allowing you to dodge everything, removing any of the original core tactics that had made the games such a success) and then a hugely unbalanced card system that awarded better players with even better VRs. 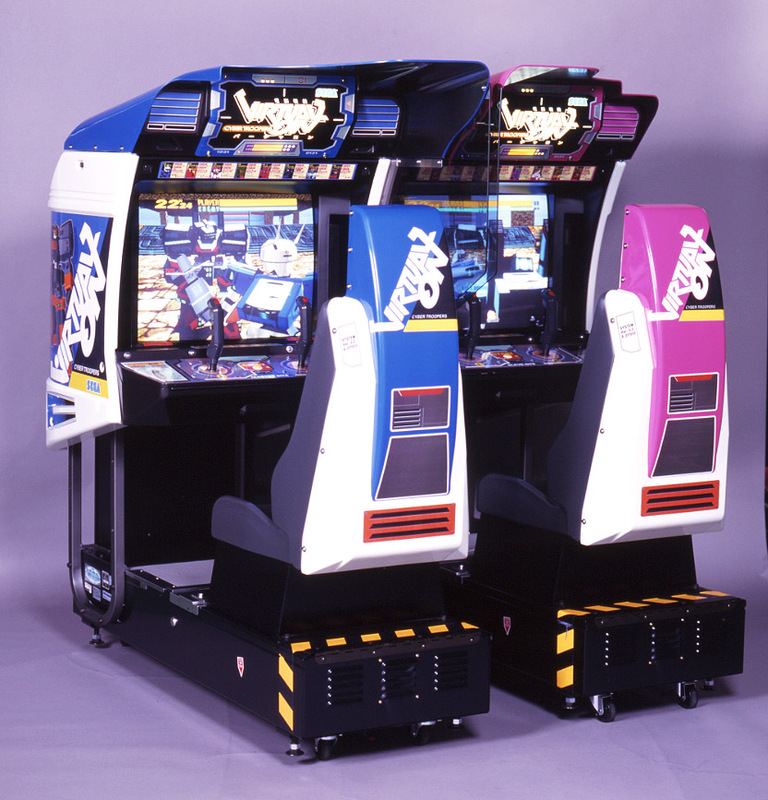 The sum of all this practically killed Virtual On in the Japanese arcades. Yet for all the teamwork, the card system nullified any real kind of fanbase. As newer players were absolutely thrashed by veterans with better VRs. 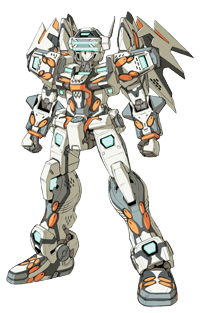 The card system was from Virtua Fighter 4 and whilst that purely offered aesthetic upgrades, for obvious balancing reasons, someone decided to copy Armored Core’s approach to customisation for Force, where upgrades would give functional variance. It was really very unfortunate, as the team focus was undermined by the possibility of having one veteran in a souped up VR trounce two newcomers. Even with Force’s dwindling numbers, there were a total of two revisions for the game. That said, things were only about to get much worse for the series. 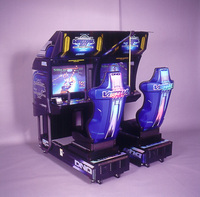 Again, the higher ups had their input stating that the reason for Force’s demise was that it lacked a compelling single-player experience (overlooking the fact that it was an arcade versus series of games). The new console team took this onboard and re-worked the Force codebase into something that would feature a greater emphasis on a single-player campaign. Now before I go off on one here, there is one element I haven’t covered yet about these games: between the releases of each game Watari had penned a serialised novel filling the narrative gaps. These were One Man Rescue and Fragmentary Passage. They explained a lot of the background for both Oratan and Force respectively yet there were still large mysteries unresolved. Marz was Watari’s attempt to answer a lot of the narrative inconsistencies to the Japanese fan base. Unfortunately, for everyone else, not only did we get a comedically awful localisation but the historical context didn’t exist outside of Japan (as neither of the sidestories were published abroad). That aside, Marz wasn’t shaping up to be that good. 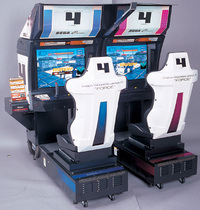 Many of the game’s environments were long and winding, yet the original Force lock-on system was sadly still present. This meant you’d be locking on to an enemy kilometres away in another canyon whilst you were trying to negotiate your way through a veritable maze. The whole game was infuriatingly like this and what with Force’s ported sluggish mechanics the final game wasn’t exactly great. The real nail in the coffin was down to the fact that Marz was the first console game not to receive a twinstick peripheral. Considering that Force relied so heavily on quick jump cancels, having to attempt that on a pad with woolly dual analogue controls made the game a lot harder than it needed to be. The only way to for me to play Marz properly was to complete the game on Ultimate difficulty, which unlocked the Shirokis Temjin (the VR at the beginning of this article in case you’re wondering). A wonderfully quick VR that basically made the game play like Oratan again. It also helped having a custom built pair of twinsticks. A digital download version of Oratan 5.66 may appear on the surface to be a beneficial thing but the lack of twinsticks only shows that this is an exercise in kudos generation rather than anything worthwhile for the series. Not to mention that playing 5.66 on pad will be pretty heartbreaking, as you just won’t be able to control the game properly. I know it’s been ages, but some things need to be said now. 5.66 on the 360 controller has proven to work surprisingly well [noticably better than 5.45 on the DC, the LB/RB mean that you can actually curve dash on a pad without some nasty movement from d-pad to stick], and there are 360 twinsticks avaliable now. 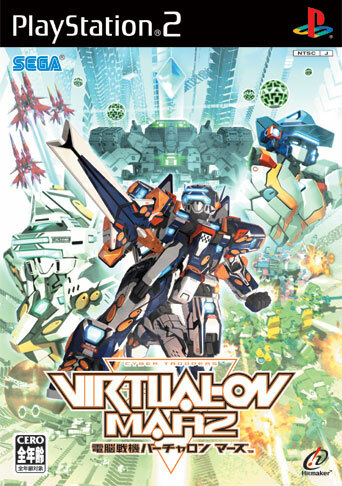 The real big problem with 5.66 on the 360 is the lack of splitscreen — Virtual On’s big focus is on human competition. The online scene will eventually die [and Live will go away for the 360 one day when MS releases its next system], but people will still have VOOT on their 360 and want to introduce it to some friends. 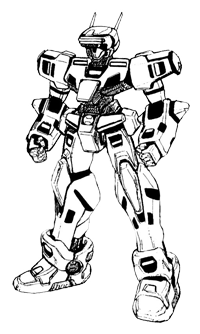 It’s interesting to see how VO’s development was — I didn’t really expect that much of the design came about from the Model 2 limitations, especially after seeing VF2 and the like, with its fluid animation and rather quick combat [admittedly not nearly up to Virtual On speed]. Especially with the bit on how dashing worked, I’m wondering about the underlying details on how you’d even be able to hit your opponent in dash if the hardware hadn’t updated your position until the end. The twinsticks’ rationale seems more sound than I thought. Before, I thought it was designed that way because of how Cyber Sled worked, and it seemed like a good fit. I always knew there was something vastly different about Saturn VO, but I couldn’t really put my finger on some of the more major changes. 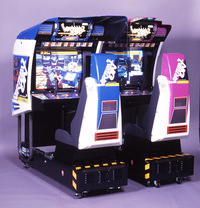 Great fun still [after getting used to the controls, and even though the Saturn version has twinsticks, Saturn VO is very much a pad designed game, even if being based on Arcade VO means that it has to make some odd control decisions], but doesn’t beat VO in the arcade [definitely close, but the twinsticks feel like you’re piloting an actual mech, which feels great]. The DC pad was pretty awful for Oratan, though the Saturn was better (oddly). However, the PS2 and 360 pads are still worse than the TwinSticks. They just are.